Day: 60,00 € + Vat. Unusually low coloration of off-axis sound since the pickupangles at low and high frequencies are kept reasonablysimilar to one another: At medium frequencies the directivityof the CMIT 5 U is higher than one would expectfrom a microphone of this length, while at high frequenciesthe pickup pattern is not as narrow as with long shotgun microphones. 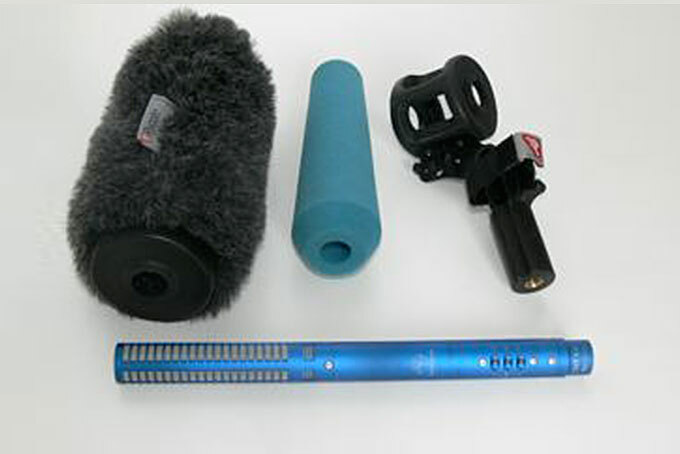 Very lightweight, robust all-metal housingThree pushbutton-activated filters allow the microphone toadapt to all recording situations:– High-frequency emphasis (+ 5 dB at 10 kHz) enhancesspeech intelligibility, and compensates for high-frequencyloss caused by windscreens;– A steep low-cut filter (18 dB/oct. below 80 Hz) suppresseswind and boom noise;– A gentle low-frequency rolloff (6 dB/oct. below 300 Hz)compensates for proximity effect.Pairs of LEDs next to each pushbutton indicate the status ofthe filters. Even in darkness the user can read the settingsand see that the microphone is operational. The settingsare retained when the microphone is switched off.